Sony Computer Entertainment Europe boss David Reeves has drawn parallels between the current state of the 'console war' in the midst of recession with Muhammad Ali and George Foreman's legendary 'Rumble in the Jungle'. In a recent Guardian interview, following last week's announcement of third-quarter losses of £141m Reeves was described as sounding "more like a corner-man psyching up his fighter than the president of Sony Computer Entertainment Europe. "We simply have to suffer a little, go down in market share and mind-share. It's like Ali v Foreman - go eight or nine rounds and let him punch himself out. "We're still standing, we're still profitable and there's a lot of fight in us. I don't say we will land a knockout blow, but we're there and we're fighting." Despite discouraging sales figures when compared with Nintendo and Microsoft, Reeves continues to argue that a price cut of PS3 before last Christmas would not have been the right strategy for Sony. "If we'd cut the price, lost another billion dollars, we might have had a huge Christmas but it would have been followed by a huge loss. The company could have thought: 'Hmm, I'm not sure I want to be in this business at all.' But we've shown Sony this is still a good business to have." And just like Ali bouncing back from his corner in that fateful eight round in Zaire, Reeves is keen to stress the reasons he feels SCEE will hit profit in 2009. "PS3 games sales are up 53% and there's a healthy 1.1m pre-order book for Killzone 2, the first of a new batch of IPs that Sony will be counting on. 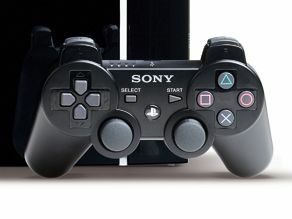 "We introduced PS3 as a multimedia device - we had to because it had a high price tag. But now you're going to see non-game apps appear: video downloads, music and, of course, it will still play Blu-ray. Will it be the cheapest player by end of 09? Probably not - but it will make progress."